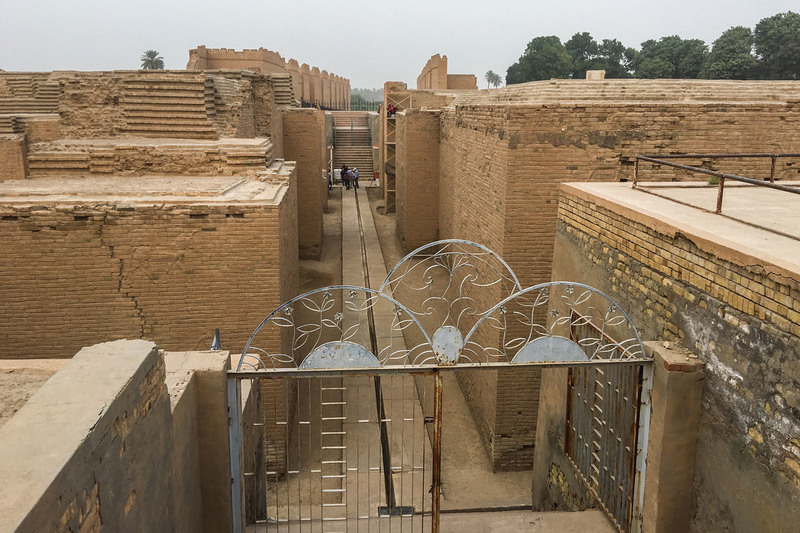 In Iraq, A Race To Protect The Crumbling Bricks Of Ancient Babylon A U.S.-funded conservation project is shoring up the brick walls of the ancient city. The hope is that Babylon will qualify for UNESCO World Heritage status. 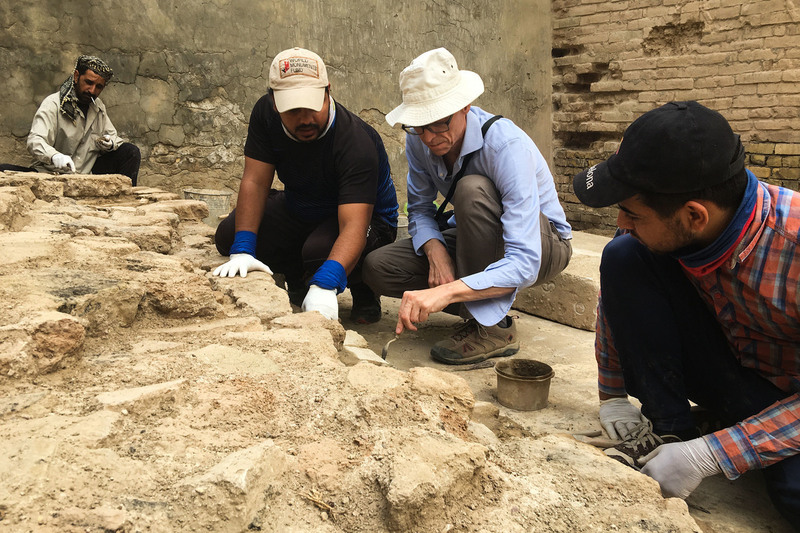 American conservationist Jeff Allen (center) directs Iraqi technicians laying mortar between ancient bricks at the site of Babylon. 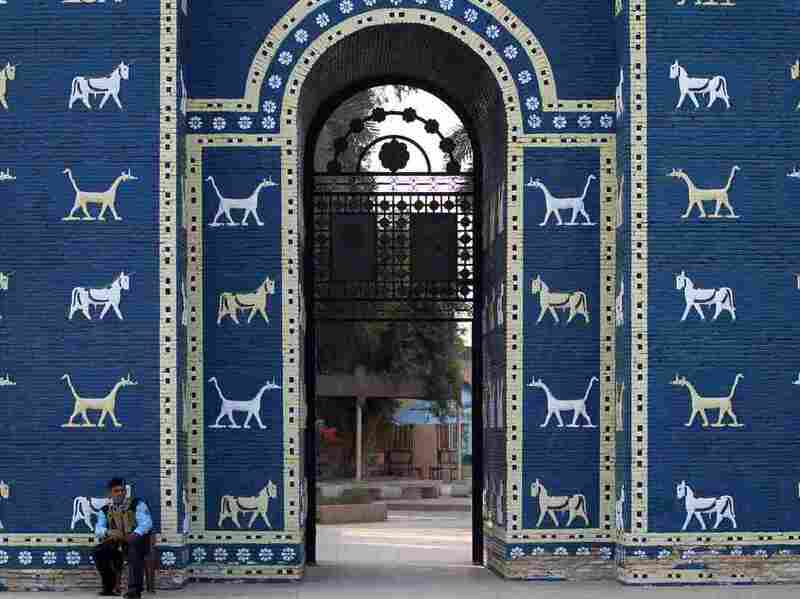 A reconstruction of the Ishtar Gate at the archaeological site of Babylon, pictured in 2015. 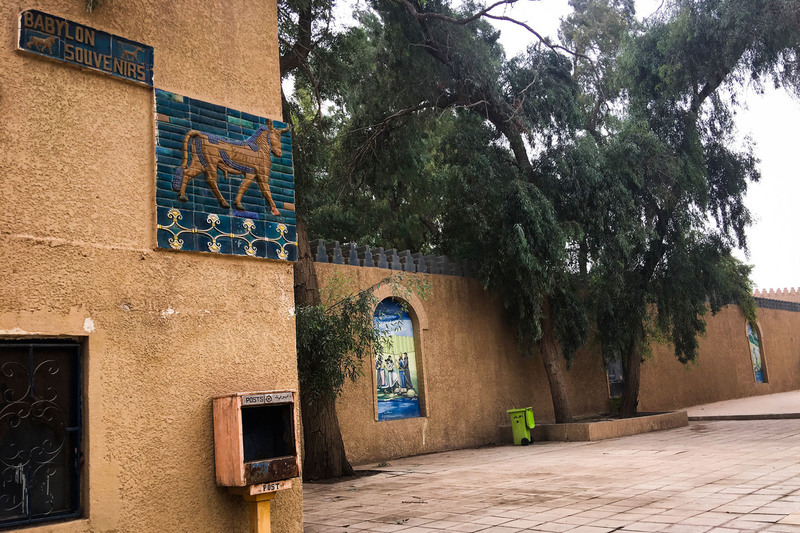 The courtyard of the Babylon site's visitors' entrance. A museum and souvenir shop have been closed, partly due to lack of visitors.